One hundred years ago today, the Germans hanged Russian revolutionary Boris Donskoy. Donskoy was not a Bolshevik but a Left Social Revolutionary — the party faction most closely aligned with Team Lenin. And his offense was a revolutionary crime, but one that events soon swept into irrelevancy. In March of that same year, Russia’s revolutionary government had fulfilled its promise to exit the charnel house of World War I, ceding in exchange for peace the huge territorial gains that Germany had exacted in the bloodlands in-between empires. These prospectively gigantic territorial gains were not long held by Berlin, whose wartime government would collapse suddenly before the year was out … but in the short interim where we lay our post, the Baltic States, Belarus, and Ukraine are under firm German control. The last of these stood under the authority of Field Marshal Hermann von Eichhorn. 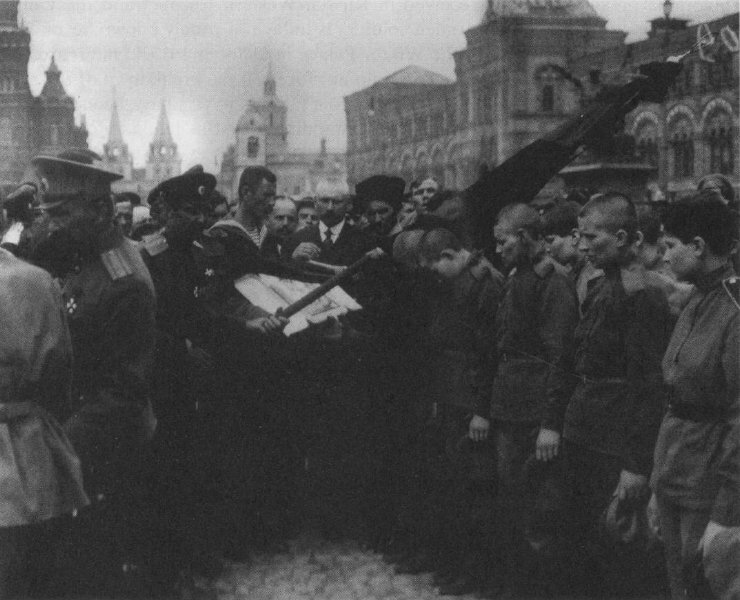 Donskoy, a radical sailor who had served on the Executive Committee of Kronstadt when it demonstrated against the Revolution’s initial, too-moderate Provisional Government, on July 29 assassinated the field marshal — declaring to his captors that the old Prussian warhorse had been condemned by the Left SRs for suppressing the Ukrainian revolution. 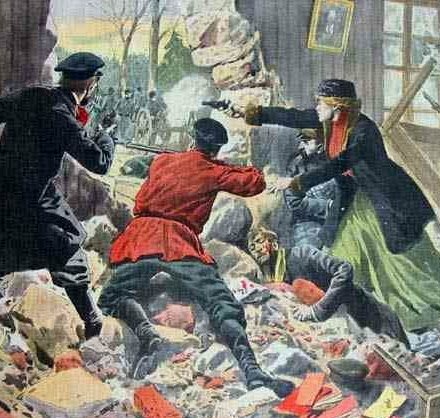 On this date in 1920, the Cheka shot famed female soldier Maria Bochkareva (or Botchkareva). The “Russian Joan of Arc” was a peasant woman from Novgorod by way of Siberia. She’d been in the workforce since the age of eight, and had passed almost continuously through abusive male relationships (violently drunken father, marriages to two wife-batterers). She’d also in that time shown herself a natural leader, and become a construction foreman. It seems the great war came for Bochkareva as a liberating, almost redemptive, force: at least, that is the conclusion of hindsight. In her memoir Yashka: My Life as Peasant, Exile and Soldier (freely available here), she recalls the spirit of patriotism that swept Russians into war, just as it did German and French and British youths. a gigantic wave of popular enthusiasm, sweeping the steppes, valleys, and forests of vast Russia, from Petrograd and Moscow, across the Ural mountains and Siberia, to the borders of China, and the Pacific coast. There was something sublime about the nation’s response. Old men, who had fought in the Crimean War, in the Turkish Campaign of 1877-78, and the Russo-Japanese War, declared that they never saw such exaltation of spirit. It was a glorious, inspiring, unforgettable moment in one’s life. My soul was deeply stirred, and I had a dim realization of a new world coming to life, a purer, a happier and a holier world. “Go to war to help save the country!” a voice within me called. This dovetailed nicely (we do not say insincerely) with Bochkareva’s own striving for a more meaningful life than was on offer in her second marriage. To leave Yasha for my personal comfort and safety was almost unthinkable. But to leave him for the field of unselfish sacrifice, that was a different matter. And the thought of going to war penetrated deeper and deeper into my whole being, giving me no rest. 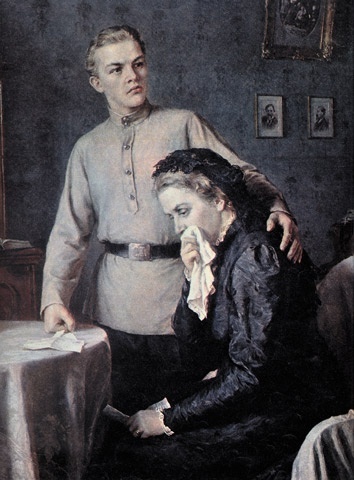 Bochkareva appealed directly to the tsar and secured his personal permission to enlist. 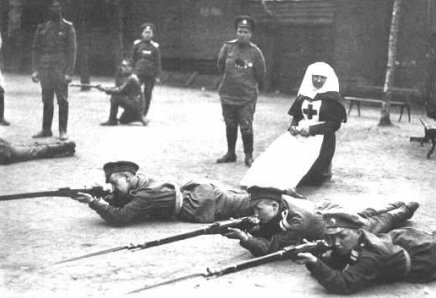 She earned several decorations for heroism in the tsarist army … and when the Romanovs fell, the pre-Bolshevik revolutionary government under Alexander Keresnky gave her permission to create an all-female formation: the Women’s Battalion of Death. Some 2,000 answered the summons. Only around 300 of these could withstand Bochkareva’s iron discipline, and though other women’s battalions would follow (one, for instance, defended the Winter Palace against the Bolsheviks), only Bochkareva’s saw service on the front. The Women’s Battalion at a Moscow ceremony in the summer of 1917. Although amenable to Kerensky’s Provisional Government, Bochkareva was an unmitigated anti-Bolshevik. According to her memoirs, her “tigresses” continued fighting while the rest of the front was fraternizing, and enraged her male comrades by drawing artillery fire. She had to flee male soldiers intent on lynching her when she was still fighting after peace was announced. She had a hard time getting used to the idea of the new Soviet government, and the feeling was mutual: her battalion was soon disbanded and it wasn’t long before she took a steamship into exile. That memoir of Bochkareva’s was dictated in New York in 1918, just a few months since she had been in the trenches facing the Kaiser. 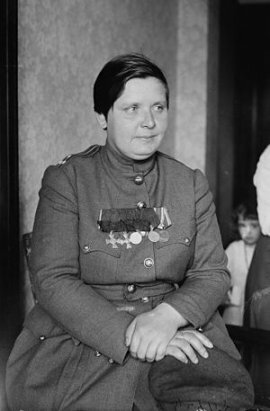 Clearly she did not believe her mission to “heal the wounds of Russia” had been accomplished, for it was her attempt to return to the fight against the Bolsheviks that doomed her: in spring 1919, she went to the Russian Urals during the civil war to try to form a women’s unit under the White Admiral Kolchak. 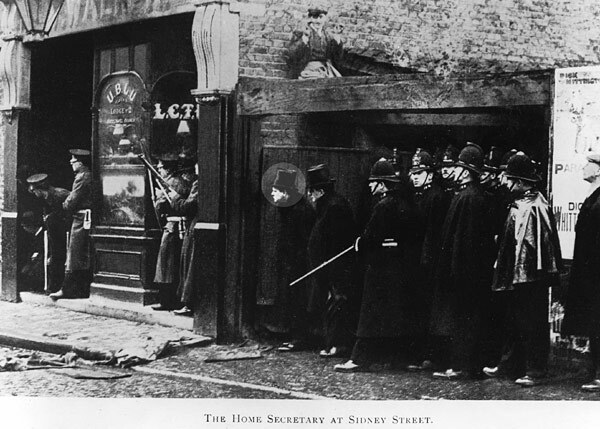 But she was captured by the Reds inside of a year, and sentenced as an enemy of the people. There’s an interesting open-access academic article about Bochkareva and the woman-soldier phenomenon here, as well as a larger bibliography here. “Four days” after an unspecified “early spring” date in George Orwell’s classic allegory of Soviet communism, Animal Farm, a show trial and mass execution of animals purporting to work for the book’s Trotsky figure signals the titular farm’s unmistakable collapse into dystopia. In the book, a revolution of animals displaces the farm’s human owner, Jones — the hated ruler of the ancien regime. The farm’s early cooperative elan soon shatters, with a pig bearing the unsubtle name of Napoleon becoming the revolution’s autocrat, and fostering a paranoid security climate against phantasmal plots by his fellow swine and onetime comrade, the exiled Snowball. Napoleon ordered all the animals to assemble in the yard. When they were all gathered together, Napoleon emerged from the farmhouse, wearing both his medals (for he had recently awarded himself “Animal Hero, First Class”, and “Animal Hero, Second Class”), with his nine huge dogs frisking round him and uttering growls that sent shivers down all the animals’ spines. They all cowered silently in their places, seeming to know in advance that some terrible thing was about to happen. The four pigs waited, trembling, with guilt written on every line of their countenances. Napoleon now called upon them to confess their crimes. … Without any further prompting they confessed that they had been secretly in touch with Snowball ever since his expulsion, that they had collaborated with him in destroying the windmill, and that they had entered into an agreement with him to hand over Animal Farm to Mr. Frederick. They added that Snowball had privately admitted to them that he had been Jones’s secret agent for years past. When they had finished their confession, the dogs promptly tore their throats out, and in a terrible voice Napoleon demanded whether any other animal had anything to confess. The three hens who had been the ringleaders in the attempted rebellion over the eggs now came forward and stated that Snowball had appeared to them in a dream and incited them to disobey Napoleon’s orders. They, too, were slaughtered. Then a goose came forward and confessed to having secreted six ears of corn during the last year’s harvest and eaten them in the night. Then a sheep confessed to having urinated in the drinking pool — urged to do this, so she said, by Snowball — and two other sheep confessed to having murdered an old ram, an especially devoted follower of Napoleon, by chasing him round and round a bonfire when he was suffering from a cough. They were all slain on the spot. And so the tale of confessions and executions went on, until there was a pile of corpses lying before Napoleon’s feet and the air was heavy with the smell of blood, which had been unknown there since the expulsion of Jones. When it was all over, the remaining animals, except for the pigs and dogs, crept away in a body. They were shaken and miserable. They did not know which was more shocking — the treachery of the animals who had leagued themselves with Snowball, or the cruel retribution they had just witnessed. In the old days there had often been scenes of bloodshed equally terrible, but it seemed to all of them that it was far worse now that it was happening among themselves. Since Jones had left the farm, until today, no animal had killed another animal. Animal Farm was published in 1945. In this 1954 British animated feature, the downer of an ending — with the corrupt pig rulers becoming literally indistinguishable from people — was dumped in favor of an ending where the animals revolt again. 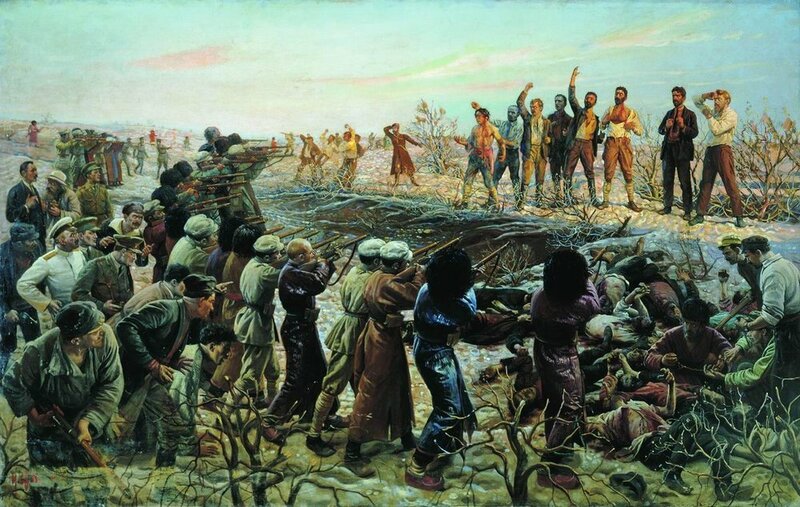 On this date in 1918, 26 Bolsheviks and Left SRs were shot in what is now Turkmenistan, their bid to establish Soviet power in Baku defeated — temporarily. 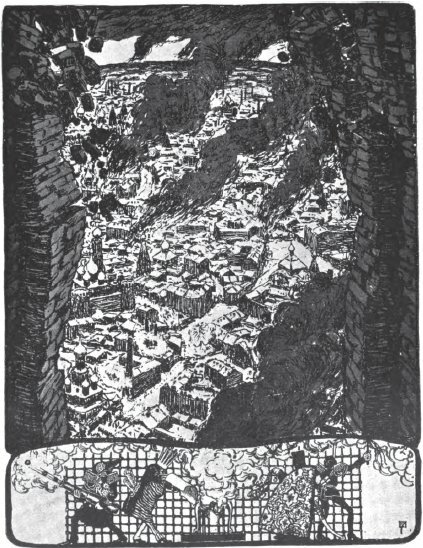 In a cauldron of ethnic violence and against the military interventions of Turkey and Britain, these worthies were tasked with extending Soviet writ to the stupendous Azerbaijani oil fields* — the predominant source of tsarist Russia’s oil, and destined to be the engine of Soviet industry as well. The Baku Soviet was expelled by the British, who inherited the bloody fight against an advancing Ottoman army. Shahumyan and his fellow commissars, meanwhile, fled by ship across the Caspian Sea to Krasnovodsk (now Turkmenbashi, Turkmenistan), where they fell into the hands of a the anti-Soviet factions — backed, once again, by the British — of a brand new locale’s incarnation of civil war. 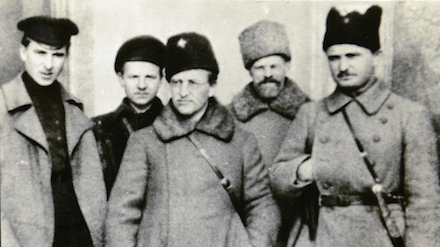 The commissars’ “presence in Krasnovodsk was a matter of great concern to the [anti-Bolshevik] Ashkhabad Committee, the members of which were seriously alarmed that opposition elements in Transcaspia might take advantage of the presence of the Commissars to stage a revolt against the government.” Said concern was relieved by the expedient of escorting the Baku Soviet to the desert and shooting them en masse. The Red Army recaptured Baku in 1920, this time for good, and Shahumyan and friends were raised to the firmament of Communist martyrology, and not only in the Azerbaijan Soviet Socialist Republic. 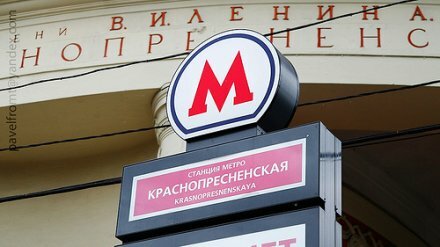 Streets and schools throughout the USSR bore their names. As with many Soviet icons, the commissars had a rough come-down after the Iron Curtain fell. Their monument in Baku stood untended for many years, its eternal flame extinguished … until it was finally (and somewhat controversially) torn down earlier this year. 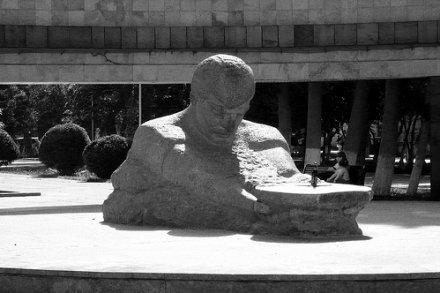 The Baku Commissars’ monument and its dead eternal flame, prior to its early 2009 demolition. Image (c) denn22 and used with permission. * The Nobel family, which established the Nobel Prize, had a significant presence in the Baku petrol industry. 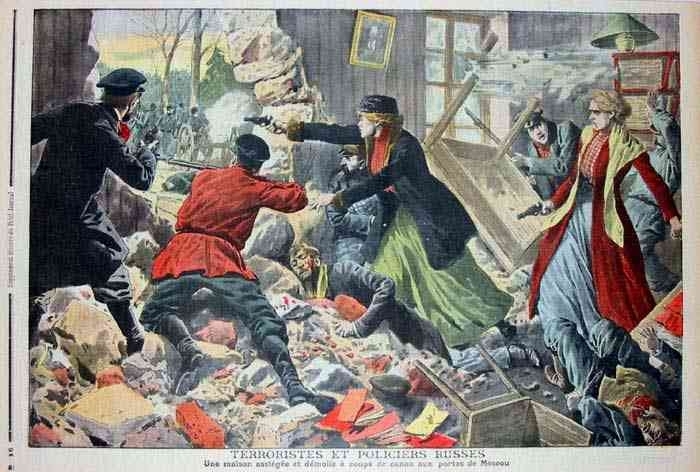 In the small hours after midnight on the night of July 16-17 90 years ago, the former Tsar Nicholas II, his wife, children, and four family retainers, were shot in a Yekaterinburg basement by their Bolshevik jailers. Doting family man, vacillating dictator, as weak and rich as Croesus … the doomed Emperor and Autocrat of All the Russias was a man small of stature. His reign emerged under a bad star when 1,300 Muscovites were trampled to death in the crush for his coronation largesse; 18 years later, Nicholas‘s support for Serbia against Austria-Hungary was instrumental in pitching Europe into World War I, a blunder for which he reaped a whirlwind long in the making. 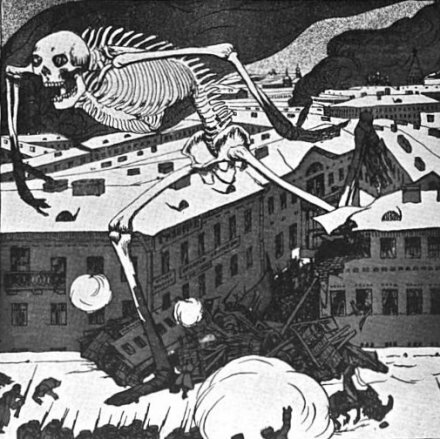 When an anti-Bolshevik force approached Yekaterinburg (or Ekaterinburg), where the deposed royals had been stashed in a commandeered private residence,* Yakov Sverdlov (for whom the city was subsequently renamed) ordered the prisoners shot — not only the tsar, but his beloved wife, their hemophiliac heir, and those four daughters who had to be bayoneted because the state jewels secreted in their corsets shielded them from the gunfire. The executioners (here’s the account of their leader; here’s another guard’s version) did their best to destroy and conceal the remains, helping fuel subsequent rumors that one of the children had survived and escaped. Modern nostalgia for this unimpressive sovereign is making a minor comeback, with Nicholas absurdly contending in a current poll for the title of “greatest Russian” … supported not only by the miseries of the state that succeeded his, but by the family’s decent and accessible private life. * The Ipatiev House where the tsar was held (and shot) no longer stands. On its spot is a church consecrated five years ago yesterday to the Romanov canonization. Update: The Romanovs were officially rehabilitated by the Russian Supreme Court on October 1, 2008. 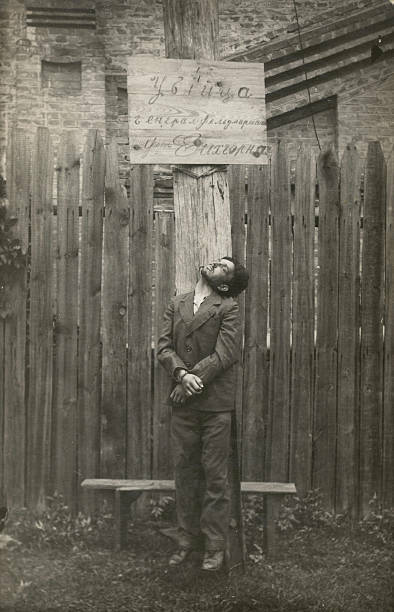 On this date in 1887, a young revolutionary went to the gallows with four other comrades for an attempt on the life of Tsar Alexander III. Alexander (or Aleksandr) Ilyich Ulyanov was among 15 members of Narodnaya Volya, the terroristic revolutionary organization, nabbed (in an “amateurish” scheme) trying to blow up the monarch on the anniversary of his father’s assassination. The five of these who refused to plead for mercy paid for their principles with their necks. — would render his own passion a footnote in perhaps the 20th century’s epochal event. But Lenin’s radicalization seems in fact to have not even begun as of this date, when he was consumed with studying for his exams (in a month’s time, he would graduate with a gold medal from a school headed by the father of Lenin’s future opponent during the Russian Revolution). Though Lenin’s eventual political persona would comprehensively reject his brother’s tactics, the impression Alexander left upon him must have been profound. 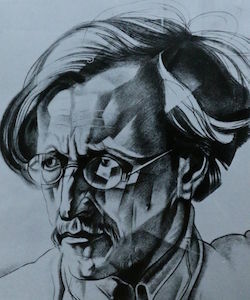 According to Tony Cliff in Building the Party: Lenin, 1893-1914, Vladimir Ilyich grappled with Narodism, Marxism and their proper relationship throughout his political development during his university years, and at least at certain moments Narodism appeared compelling to him. 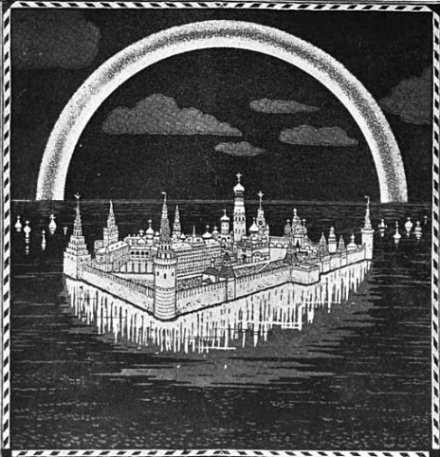 Many of them [Russian Social Democrats] had begun their revolutionary thinking as adherents of Narodnaya Volya. Nearly all had in their early youth enthusiastically worshipped the terrorist heroes. 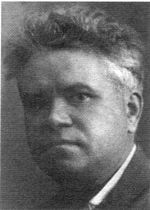 It required a struggle to abandon the captivating impressions of those heroic traditions, and the struggle was accompanied by the breaking off of personal relations with people who were determined to remain loyal to the Narodnay Volya and for whom the young Social Democrats had profound respect. Lenin mastered that struggle. In the end, he indeed went another way. * Except there was no such thing yet, but never mind.